Six photographs transpose the concealed environment behind the fence onto its face. 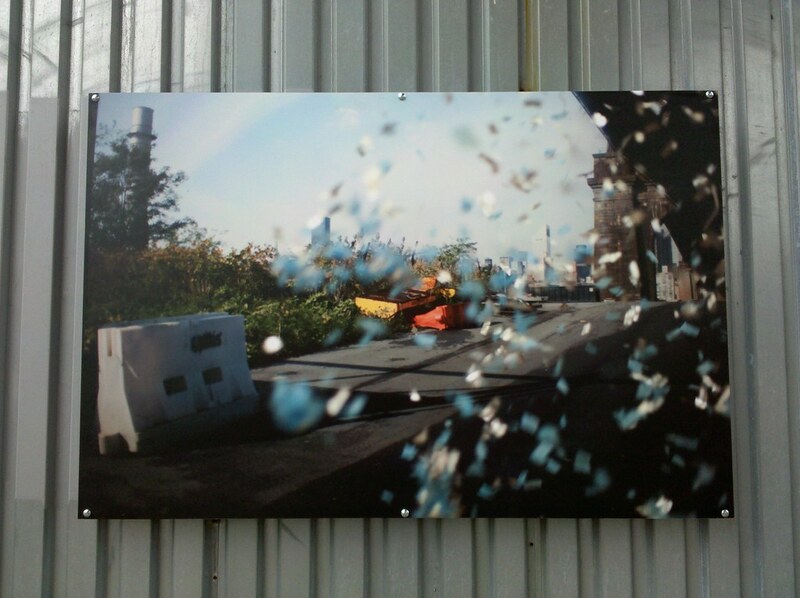 These images of the existing environment were then re-photographed with cut emergency blankets and blue latex gloves captured in a falling state, suggesting precipitation, celebration and elusiveness — a fictive space. Neither the images nor the scene can ever be viewed in entirety, partially obscured by the flurry. I couldn’t agree more re: overblown artspeak. I tend to think that the overall value, subjective though it may be, of any piece of art is, almost universally, inversely proportional to the amount of adjectives the artist needs to use to describe it.